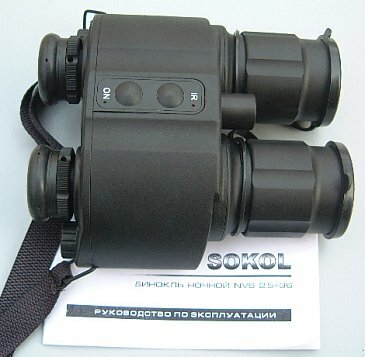 2.5x36 "Sokol" is 1st generation night vision binocular intended for use in any weather conditions. It has the built-in infra-red illuminator that allows to view on 220 m in natural night light intensity. 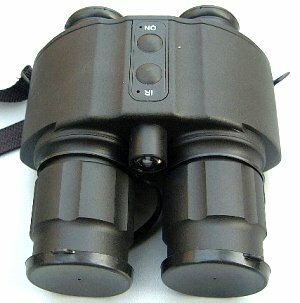 The binocular is intended for orientation on terrain in conditions of low intensity of illumination. No plastic parts! Fully strong metal design. 1. 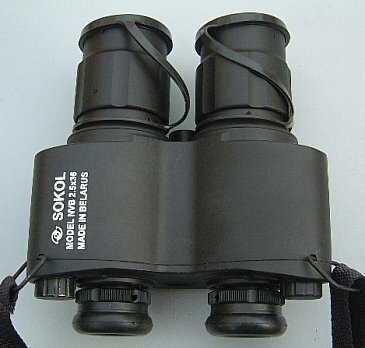 NEW Binocular sealed in box.........1 pcs. 4. Lens rubber cover............................2 pcs.